Today, let’s focus on sitting balance. Typically, 50% of infants sit independently by 6 months old. 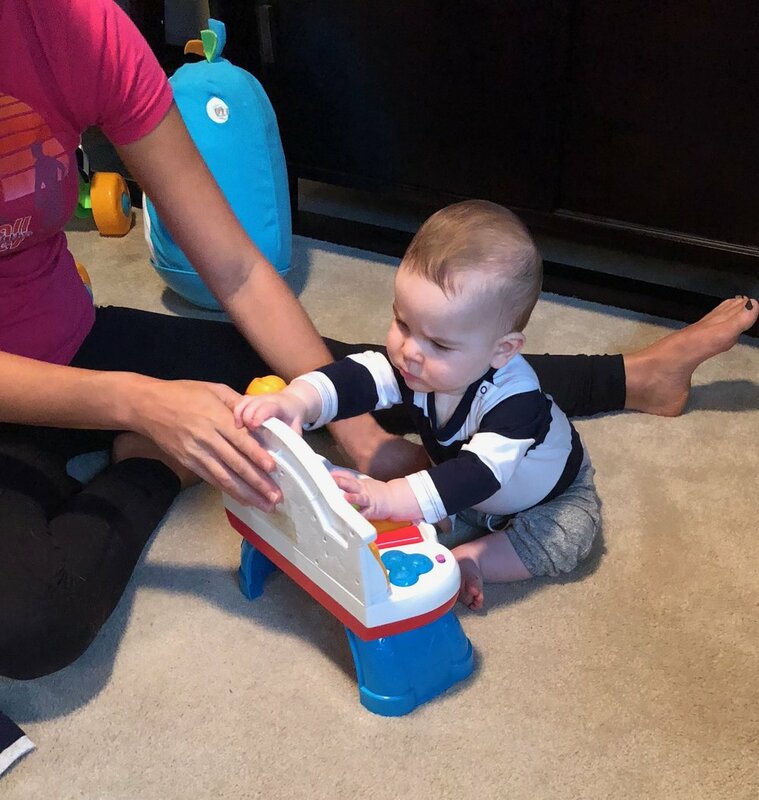 Independent sitting allows the child freedom to reach and play with toys, improves the visual field in order to observe the environment for learning, and builds core muscles against gravity to prepare for crawling, standing and walking. It is important for the developing infant to challenge these sensations as they grow in order to improve balance in positions like sitting and standing. Thinking time! If I sit you on a ball, and move your hips to the right, your head will automatically adjust by titling to the left side to help your body stay upright. Likewise, if you slip and fall, your hands automatically reach out to the ground to protect your body from the fall. These basic balance and protective reactions start during infant development and stay with us throughout adulthood. After a fall, our brain gets used to or “habituates” to the movement. Therefore, the more that balance is challenged and the child is forced into falling, the greater the improvement in stability. In addition, falling allows the child to develop protective reactions by using his arms to stop the downward momentum in order to prevent potential injury to the body. How do we practice falling? After a child is able to hold his/her head up independently, they are ready to practice sitting and falling. sit in front of the the baby and play! Have the child shift his weight in all directions to reach for toys and challenge the balance center of the body. 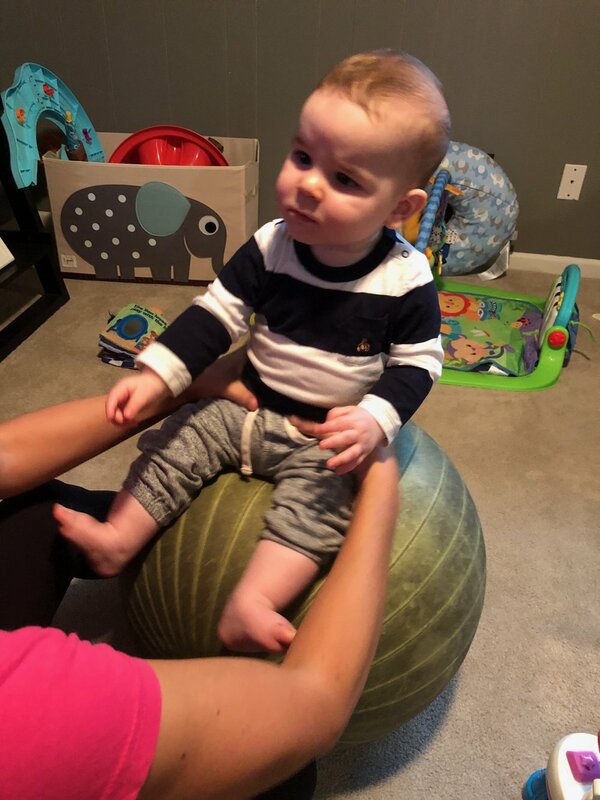 For more information on sitting balance, sitting exercises, falls, and childhood development, we offer skilled wellness classes and pediatric physical therapy at Boost Babies, LLC.